It’s Halloween weekend, and there is plenty of ghoulish Catskills fun to be had for kids and grownups. Here are a few ideas for everyone’s favorite spooky holiday. Halloween Parties, Restaurant-Style: Many local restaurants and bars are hosting special themed events on Saturday night, from DJ dance parties to costume extravaganzas with big prizes. The Heron in Narrowsburg hosts a late-night “House of Voodoo” party after its regular brunch and dinner hours, and will also show movies all day in its Emerald Ballroom. 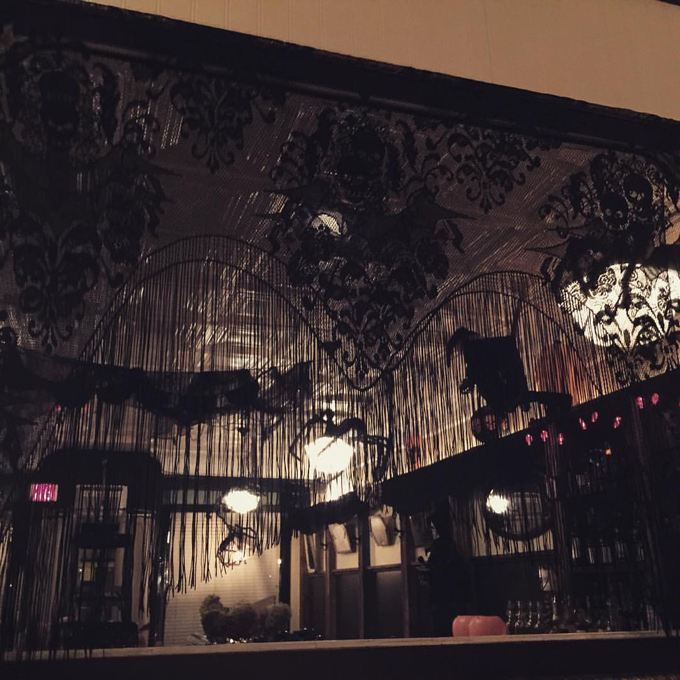 Big Indian’s Peekamoose Restaurant and Tap Room promises bar vittles, tarot card readings and “general bedlam.” Diamond Mills Hotel and Tavern in Saugerties puts on its fourth annual haunting, with creepy creations from the chef and especially ghoulish cocktails. Halloween Parties, Farm-Style: The farmers at Schoharie County’s Sap Bush Hollow Farm have been so saddened by their lack of trick-or-treaters in years past that they are throwing an open house and tempting visitors with organic, fair-trade chocolate, no costumes required. Sap Bush’s farm-grown goods, including lamb, beef and pork, along with gorgeous wool blankets, will also be available for sale. Delaware Bounty in Delhi also celebrates local food, with a family-friendly harvest open house that includes clowns and healthy treats. Baseball: If costumes and candy are not your thing, there’s still plenty of World Series action. The New York Mets face the Kansas City Royals for games 3, 4 and 5 of the MLB championship, which happen Friday, Saturday and Sunday at 8 p.m. Check out our guide to where to watch the games locally.